Ever wondered what your cat is trying to tell you when s/he does something out of the ordinary? A new book from Pavilion Books may well hold all of the answers…. 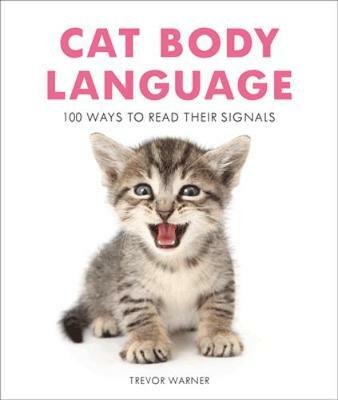 Written by a certified vet, Trevor Warner, who we found out has two rescue cats of his own, named Billy and Mancini, Cat Body Language interprets the 100 most common noises, body positions, behaviours and habits – good and bad – of your little fur baby. All the most common behavioural traits of felines are examined in detail, giving you loads of information about what your kitty is trying to tell you by his or her actions. We found it especially useful in reading the signals that our five were expressing through their body language while we were reading Cat Body Behaviour. Giving a really useful insight into what s/he is feeling and thinking, the book is an invaluable guide to helping you communicate with your kitty by understanding his or her needs better so you can anticipate what s/he is going to do next or wants from you. This is particularly important if you’re a new cat mum or dad, as these mysterious wee critters can be so confusing as first. With over 20 years of veterinary surgery training and experience the author, Trevor, uses the psychology of cat behaviour to explains, for example, how a feline is likely to react in stressful situations, so you can help ease them into a comfortable, non-agitated state, and what s/he is thinking and feeling when a new pet or person comes into their home. Split into clear chapters, Cat Body Language covers key aspects of cats’ behaviour from kittenhood and interacting with you and visitors to your home, to marking territory and mating behaviours. We read it all the way through and recommend it as a great Christmas gift for any cat lovers in your family or circle of friends. Cat Body Language can either be an easy-to-use reference to help you deal with issues that may be specific to your kitty, or as a flick-through read to better understanding your cat – especially important for anyone who may be actually getting a cat this festive period. The author, Trevor Warner, has worked at animal hospitals and clinics across Sussex and Wiltshire for 18+ years and even has his own practice now, where he offers care including animal behaviour clinics in Melksham – so he really does know what he’s talking about. Cat Body Language has everything you need to know about – including chapters on cats’ ear movements, their hunting instinct, and licking and grooming rituals, and much more. 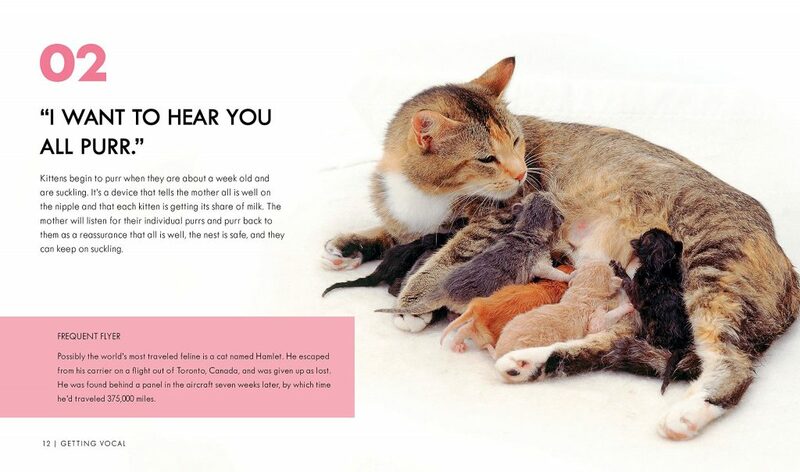 Plus, the book has some really cute ‘aww!’-worthy photographs, showing all of the different types of cats that you can get, so it is also a good guide to the vast variety of kitty breeds out there. And, you can enjoy snippets of pop culture trivia like the true reason male cats are known as ‘Toms’ – so it is doubly educational for cat lovers. Priced at just £6.99 and available right now from Waterstones and other good book shops, Cat Body Language is the perfect gift for the new pet owner or animal lover in your life, or just as a fireside read this winter. So, go ahead and treat yourself, and discover what the 100 most common behaviours in your cat mean.